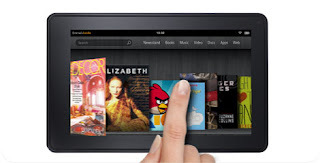 Yesterday Amazon released it's first color tablet. This tablet not only is a great price at $199 it also performs very well. I was able to spend a few minutes with it and it ran very smooth. 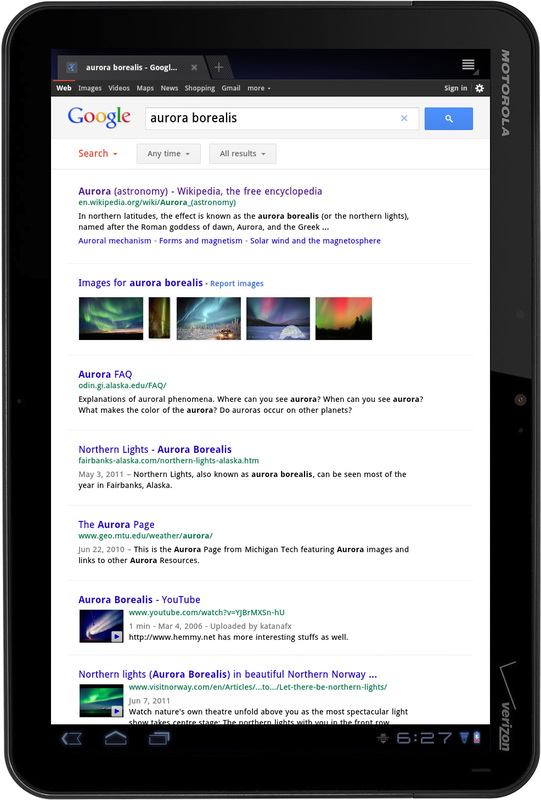 It is really easy to navigate and has a beautiful display.With all the different content that Amazon offers it will surely be well known in the tablet market. Joshua Topolsky from The Verge went to the streets to find out what Union Square knew about the Kindle Fire. With the Kindle Fire you have access to the Amazon App Store, Kindle books, music, and Amazon Movies. The App Store has relatively few apps but it should become very populated with apps as the Fire becomes more popular. Go ahead and order yours now! Home Sharing is what Apple offers to help all your device work with each other while all connected to the same network and Apple ID. Apple allows you to enable Home Sharing on up to five different computers. 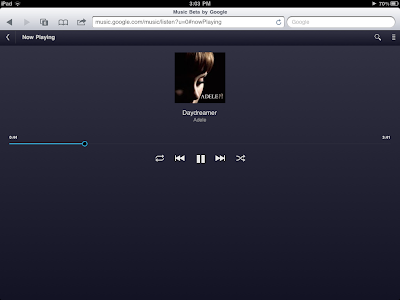 When it is enabled on your computers you can drag and drop your songs between different computers in iTunes and stream music and videos from other devices on the network. 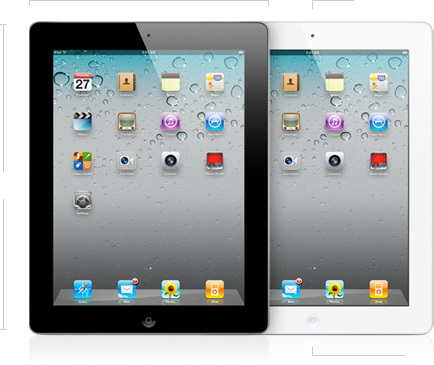 Some of the major benefits of Home Sharing come if you have an iPad, iPod touch, or iPhone. When you enable it you are able to browse your entire music and video collection on your device and play them without syncing the content to the device. This also works on the Apple TV 2 and that is how you can stream all your content to the TV without the box having a hard drive. Check out the video above to see how this is done. Last night on The Office Dwight introduced the new Sabre Tablet. Though it is an odd shade do you think it would work? What are your hopes and dreams for Amazon's Press Conference tomorrow? Tomorrow the e-ink winner, book seller, and all around great company is going to introduce what it has been working on. With the tablet being all the talk since 2010 we can only assume that is what it is. 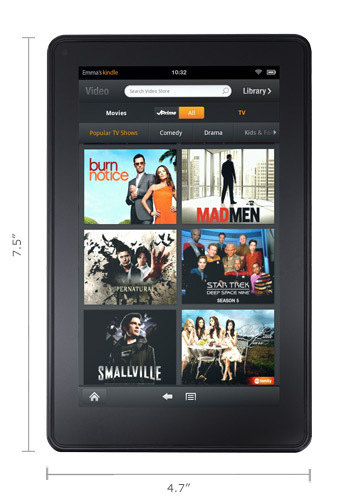 So far I have heard rumors of it being called Amazon Fire, and being similarly shaped to the 7" BlackBerry PlayBook. While only tomorrow can really tell us what it is going to be here are some things to think about. In March of this year Amazon released it's own dedicated Android App Store. The store has a free app everyday to help promote developers and it can be installed on almost any Android device. The App Store has an approval process before it can be on the store. They also already have a Kindle app and a Shopping app. They also released the Cloud Drive Player which allows you to download and sync your music between devices and stream music from your Android Phone. In February they announced their unlimited movie streaming service to Prime members. With this much preparation it can only assumed that the tablet is going to be Android based, multi-media centered, and app rich. With all of these making for a great tablet I can see two things that it must have to win the worlds hearts. These are great performance, and a superior price. What will it take for you to get a Amazon made tablet? What do you expect it's main features to be? Looking for a easy to use convenient keyboard for your iPad 2? This one should do the trick. The Logitech Fold-Up Keyboard looks to be a very impressive device that allows you to take a full size keyboard with you wherever you go. 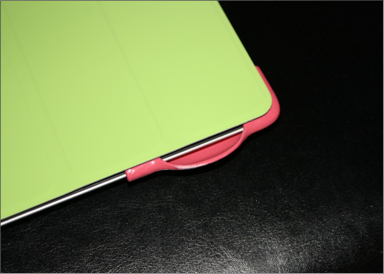 The case is compatible with the iPad and iPad 2 and also allows you to use your smart cover with it. The keyboard has a rechargeable battery and pairs to the iPad using bluetooth. This product retails for $129.99 and is ready to be purchased. 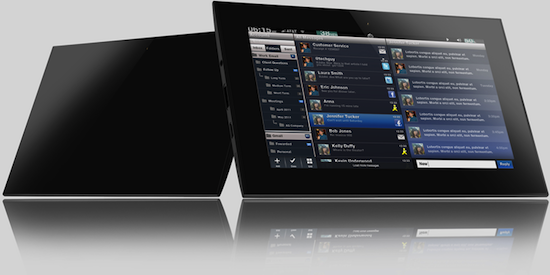 The BlackBerry PlayBook is a very powerful little device. In this video I go over the main features that it has to offer. Some features I did not mention in the video is the ability to video chat with other PlayBooks and that you can also set up a bridge between your BlackBerry smartphone. 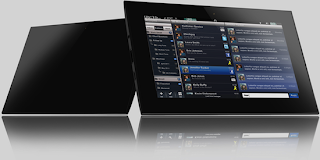 This allows you to use the smartphones internet connection on the the PlayBook. 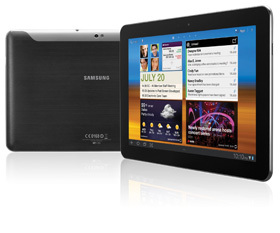 The PlayBook starts at $499 for the 16GB and $599 for the 32GB and $699 for the 64GB. BlackBerry is in the process of making an update to the OS that should be out in the next few months. 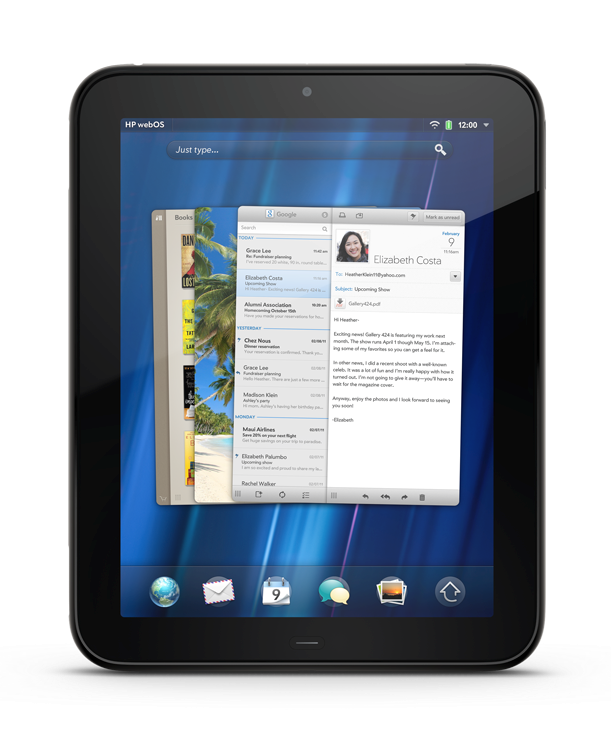 The update promises to be a big overhaul to the OS and add a full email client and the ability to play Android apps on the PlayBook. So would the iPad moving to Sprint make you finally dive in and purchase one? Only time will tell if these rumors our true. Apple should be holding an event between now and the end of the year to finally kill all these rumors and give us some official news. Would your decision be based up weather it has 4G or not. Sound off in the comments. If you have attempted to use Music Beta on your iOS device before it worked, but barely. 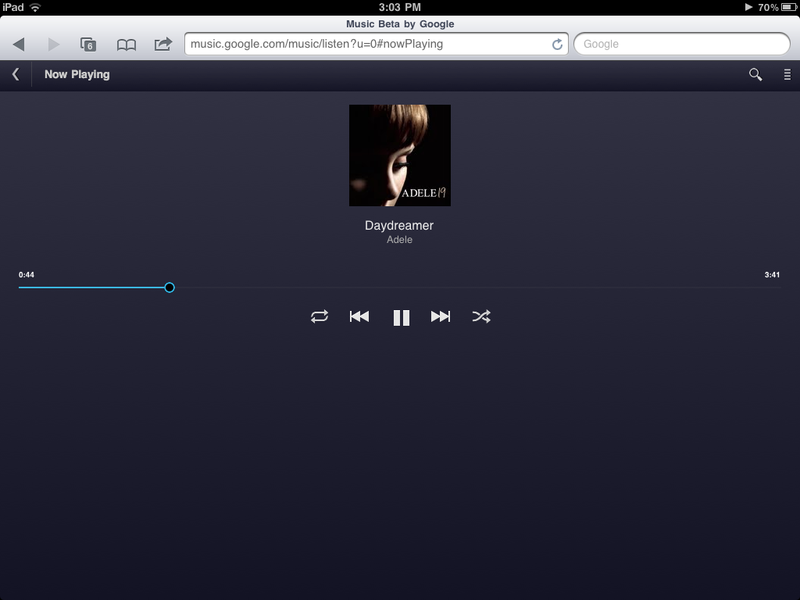 Google just released its Music Beta web app for iOS 4 devices that allows much easier navigation to play your music in the cloud. I used it on my iPad and it is a very nice experience. You can swipe between columns for easy navigation. It surprised me when I left Safari and the music was still playing. Looks to be a full feature web app right out of the gate. Thank you for this Google! 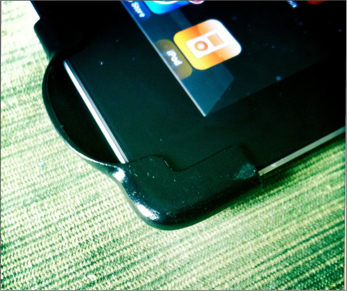 Looking for a way to protect the back of your iPad from all those small scratches? This is the perfect affordable solution. Check out the video above for the quick review or go to the link to purchase from Amazon. You might as well get one for you parents while you are at it. I have been asked this question a few times and thought I would make a quick video about it. Sorry the video is a bit blurry. This video will show you how to pin point your cursor location on the iPad, or iOS device. Really simple but also really helpful. 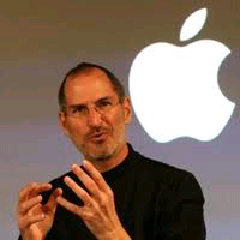 'I have always said if there ever came a day when I could no longer meet my duties and expectations as Apple's CEO, I would be the first to let you know. Unfortunately, that day has come. Keynotes will never be the same. A tablet without the proper app leaves you yearning for more. A tablet with the right apps allows you to get to the things you want faster. One of my favorite web applications is LogMeIn.com. LogMeIn Ignition is an app that allows you to use your iPad or iPhone to log in remotely to your connected computers and take control of the screen, mouse, and keyboard. This app is normally priced at $29.99 but is on a back to school sale for a limited time at $14.99. 50% is a perfect price to jump in and make the purchase. The perfect use for this app is if you wrote your paper at home but forgot to upload it online and it is still sitting on your desktop. After a few moments of logging in, you can email it to yourself, print it off, and have your paper handed in with plenty of time for Angry Birds. Looking for a simple device to browse the web? The next6 seems to one. Prices at $279 it won't break the bank but now is your chance to win one. Feisty Frugal &amp; Fabulous is giving one away. All you have to do to enter is comment on her blog post. You can get additional entries by follow her and her feeds. Check out the specs for the tablet at nextbook. As I rushed through Costco yesterday to grab a few things I could not help but stop and look at the different tablets they offered. I saw the new Vizio 8" tablet and was excited to test it out but someone had enabled a lock code so I could not demo it at all. They have it priced for $289 which is $40 off the original price. What really caught my eye was the Acer Iconia Tab A500. The A500 has not been the most popular tablet but has a few features that do stand out. At Costco the A500 is priced at $349 and is the 32GB version. It also comes with a case that is $40 in value. A few weeks ago I spent hours looking for the 16GB version for $300 but this is a much better deal. Recently the Acer Iconia Tab A100 was announced. It has a 7" screen and runs Android 3.2. It will be priced at $330. Having used a 7" device I am not convinced that there is a super need for that size. My phone is almost that size and whenever I switch from the PlayBook to the iPad2 I realize how awesome it is to have a 10" screen. With the Acer Iconia Tab A500 being just above the price of a smartphone I see no reason to deny this deal. Drop by your local Costco and pick one up today. After Palm was purchased by HP there was lots of hope for WebOS. Many have been concerned the new products still were not enticing enough to make a big impact out in the world. Now with the HP TouchPad priced at $399 the option of the TouchPad seems very reasonable. 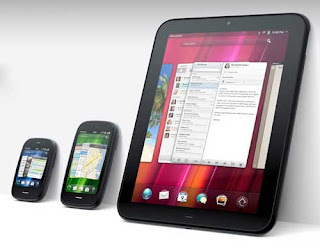 WebOS app sales have taken off with the release of the TouchPad and hopefully will only get bigger are TouchPad sales increase and developers join the WebOS game. With each new Operating System there are new ways developed to interact with the software. With a new OS on tablets developers can make it even more intuitive because you can use multi-finger functions and other intuitive ways like gestures. When you first use the BlackBerry PlayBook you will understand what I mean. In order to help you get started I made this video about how to use the gestures on the PlayBook so you will not be lost. This is crazy! Try it and let me know if it works for you. The deal is gone but if you were able to get it let us all know how you like it. 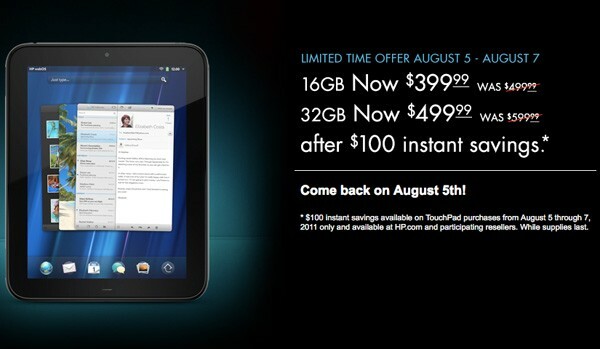 Want to save an extra $20 off of HP's coupon price for the TouchPad this weekend? Check out Woot today and it it is all yours. 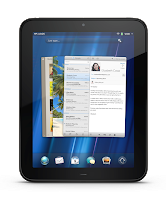 The first WebOS tablet is in new condition all for $279. While I could keep telling you more about this but I am going to go search through my couches to find the extra change I need for this tablet. Yesterday Samsung announced it's TouchWiz UX Skin for the Galaxy Tab 10.1. The update is going to be an over the air update that will be release on August 5th. The update includes new UI, updated Calender and other apps, and Quick Launcher apps. Samsung has also caution all Galaxy Tab Wi-Fi owners that you need to read this document for important information before you update your device. It includes info about certain widgets you need to remove and when not to plug in the device while it is updating. The update is completely optional so you might want to wait but if you are ready for the Honeycomb skin it will be live tomorrow. Enjoy! Did you miss last weeks tablet coupon at Staples? This weekend you get another chance to get $100 of a tablet. This time it is the HP TouchPad. PreCentral says you can get the 16 GB on HP.com for $100 off from Aug. 5-7. They have the TouchPad on display at Staples and Best Buy. I spent a little bit of time with it and thought it was a great tablet. WebOS has a really nice user interface. It does a great job at multitasking and is very snappy. If you don't know about the HP TouchPad watch the video below. If you bought a Toshiba Thrive and were having sleep issue that was causing your insomnia, the update should be rolling out today. As with my post about the SoundJaw, there is another device that trying to get funding on Kickstarter. Tyson and Scott from Salt Lake City came up with the idea for the Stylusist. It is a device that attaches to the iPad 2 and then allows you to attach your stylus for easy access. It is being promoted as a way to not lose your stylus and to always have easy access to it so that you don't have to search through your pocket or purse to be able to find your stylus. Tyson and Scott are looking for $10,000 in backing by Aug. 26 to be able to get the project going. They would love for minimum pledges of $20 dollars but are accepting $1 pledges. All they ask is if you pledge less than $20 dollars, that you spread the word about Stylusist on your social media pages. They are offering a Stylusist for the first 100 people the give a pledge. If you pledge $50 or more they will give you a Stylusist, a stylus, and a personal thank you note. If you pledge $100 you will get a Stylusist, a stylus, a personal thank you note, and your name will be put on their website as a top contributor. If you pledge more than $500 you will receive all of the above and your name will even be placed on the packaging as a top contributor. They used the top three styluses from Amazon to create the dimension for the product. It is suggested that if you don't buy one of the three listed that you buy one that has a circumference of 29.6 mm or a diameter of 8.5mm. The styluses they used are: Acase Capacitive Stylus Pen, Boxwave Capacitive Stylus, Targus Stylus for iPad. Are you willing to help get this product made? I can see that many people would have a use for this. Hit the source link to offer your pledge now. 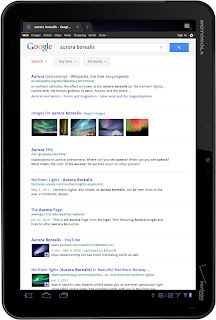 Have you watch a video lately on your iPad 2? Did you turn up the volume all the way and then cup your hands over the speaker so all viewers could hear it? This is exactly what the SoundJaw fixes. It is was made for the purpose to enhance and boost the sound quality of the iPad 2. The SoundJaw claims to give your iPad a higher decibel volume with crisper sound. Matthew McLachlan is the creator of the SoundJaw. At first he used KickStarter to be able to raise enough money for the project. The device is made of plastic and slides onto your iPad 2 with ease. It comes in different colors so that you can keep it discrete as possible depending on your iPad color or Smart Cover color. The product is now available for sell for $20 but at this time only allows for you to purchase them in black or white. I can see the SoundJaw being a great addition for my iPad. it is not fun to always be holding my hand by the speaker whenever I am watching a YouTube video or anything else. Is this something you have been looking for? I would say I am convinced, how about you? 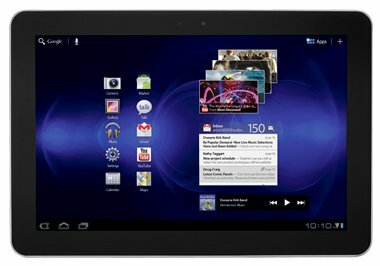 Looking for a low cost around the house tablet? Here you go! This digital reader is packed with Gingerbread, 800MHZ, and 4GB of storage. This should be able please everyone with price and performance.